This blog is called Quadre (painting in Catalan), a reference to my goal of bringing content and a frame to the issues of the day in international affairs. By interviewing leading experts, I hope to give readers a better understanding of what's going on in today's complex world. 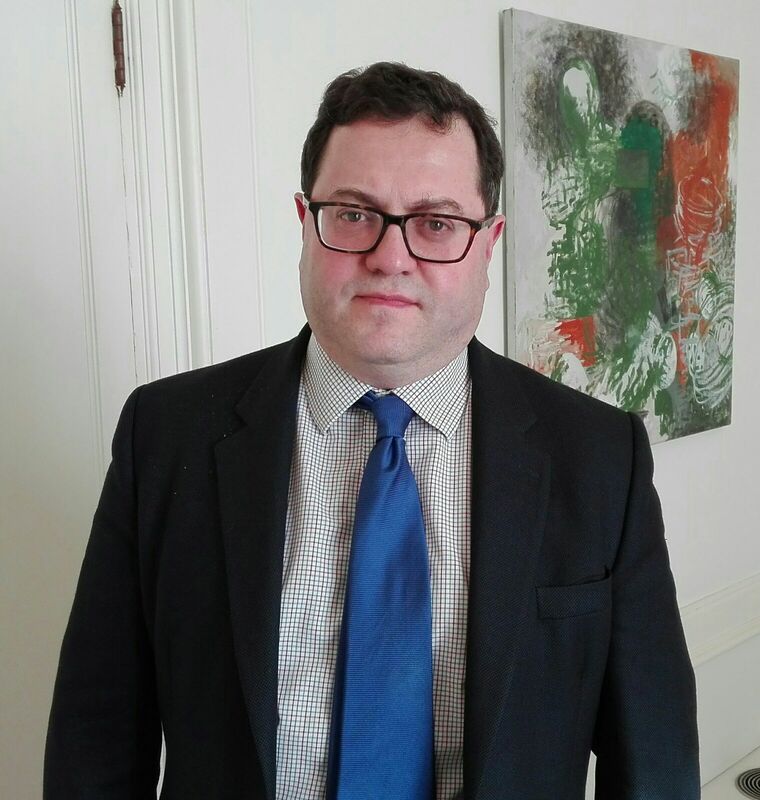 Arkady Ostrovsky is Russia and Eastern Europe editor for The Economist. Prior to this role, he was the Moscow Bureau Chief for the Economist reporting on the annexation of Crimea and the war in Ukraine among many other subjects. He joined the paper in March 2007 after 10 years with the Financial Times where he covered Russian politics and business, including the Yukos Affair. His articles were among the first to warn of the resurgence of the security state under Putin. At The Economist, Arkady also writes about Russia-US relations, European security, Russia and China, Ukraine, Georgia and other former Soviet republics. "The clock has already started ticking in Russia; the elite in Moscow is already discussing Putin's succession"
"The frustration with the economic situation will build up and the regions and the big cities will demand for more autonomy; how the regional elites build their relationship with Moscow is going to be one very important factor"
"Putin is exploiting the problems that we have domestically, because there is populism growing and the populism is a result of a lot of the liberal elite not being able to really address the inequalities. So if we allow him to meddle, he will meddle; if we don't allow him to meddle, he won't meddle or they will meddle but they will not be succesful"
"I don't think Putin is going to take a more active role in Syria"
A.B. - What can we expect of Putin's next six-year term of office at the domestic level? A.O. - I think Putin's key objective is going to be to stay in power but I think that it will also be the question of how he manages his succession. So it will not be about bringing in some change, political change or economic change. It is going to be about how to manage the succession and what happens at the end of this six-year term. So the clock will start ticking, has already started ticking in a way, and people in Moscow, the elite, is already discussing how this ends. There will be a lot of crisis fighting. I think that three big issues will dominate the agenda. One is geopolitics, Russia's relationship with the West, how it is going to manage that because nobody really wants a big war in Russia or outside. Number two is economy. The economy is stagnating and people for now are still comparing the living standards with the 90s when they were much lower. But the further it gets away from that time and this generation changes they will have no memory of 90s: Putin has been in power for 18 years and will be in power for 24 years by the end of it, and that's more than one generation that grow up and all they know is Putin. So the comparison will weaken and they will start comparing the current position with the early 2000s when the incomes were growing by double digits. So the frustration with the economic situation will build up. And then there is a question of domestic politics which consists of two parts. One is what happens within the elite and particularly what happens on the regional level, because Russia is a very large country, there are parts of the country where the economic development is very different; some it's complicated by the ethnic factor, so there is the Republic of Tatarstan, which is the largest Muslim republic in Russia, which is very rich actually and quite successful; there is Chechnya, which is totally different from anything else both politically, socially and religiously and there is a Far East which is where the influence of China is much greater. So how the regional elites build their relationship with Moscow is going to be one very important factor. And the second factor is called the street, the supporters of Alexei Navalny. Because Navalny, who is a opposition leader in Russia, he is not registered, he is been banned from standing for the elections but he's very important because he understands he's fighting Putin and he is already participating in the election in a way, but just differently, not through the ballot box but by trying to destroy Putin's legitimacy, by trying to undermine it and drive down his popularity, because he understands that as soon as Putin loses legitimacy, he will lose office as well. A.B. - Do you fear a risk of a territorial disintegration of Russia in the middle-term? A.O. - Yes, I do. The Soviet Union fell apart along the lines of the Republics. There were formal structures which the Soviet Union consisted of. Russia, internally, doesn't have those boundaries, those borders, it's not clear where one region ends and another one starts, but they are regions nevertheless. As I said Putin has centralised power to such a degree that the local elites feel quite aggrieved because there is a lot of money being taken from them, the tax relationships are not fair because money is being taken and not returned and Moscow is sucking out all the resources. But in terms of how this ends and the risks for a territorial disintegration I think they are very great. A.B. - Which territories could more likely to push for a break-up? A.O. - Well, Tatarstan will certainly feel that way, it will be the richer one actually, with their own elites; the Caucasus, for sure, but it also could be some Siberian cities, I mean there will be a drive to decentralisation. So, put it this way: I don't think everyone will come to say 'we are now independent' . I think that what might happen, and probably will happen, is the regions and the big cities will say 'we want more autonomy, we don't want to be apart from Russia; we want simply more autonomy and we want different tax relationships, more power politically and economically to make decisions'. And then the question is how Moscow will respond to those demands because those demands contain different forms: they can be on the street. Now, if Moscow sends the police and it starts beating people up and killing, I don't have to tell you what happens afterwards: suddenly you move from 'we want more autonomy' into 'we want a referendum on independence'. I think a lot will depend on how they respond. If they start responding with violence, I think the chances for a break-up increase a lot. A.B. - We see an authoritarian State in Russia but we hardly know about what is going on inside civil society? Is some kind of opposition movement growing underground? A.O. - Yes. There are two things that are happening. One, there is a new generation coming and they want their chances. Putin's biggest problem, and the biggest challenge, is inability to talk about future. People have no prospects, they have no future for themselves, they are not going to live better than their parents, they are not sure that their children will live better than them. I mean, all these standard things in any country, in the United States or in Europe, are managed through an election, but in Russia you don't have that stabilising mechanism and people do want future, that is why the political process is now happening not within the Kremlin, not within the lines delineated by the Kremlin, but it's happening outside, it's happening on the street. And the divide between large cities and provincial Russia is growing. People are educated, they are seeking oportunities, they don't want a war. So, yes, there's a lot happening and the society is getting quite radicalised as well because that is the dangerous thing is what they are doing: to stay in power, they talk about traditional values, Christian values, the Church, and a lot of them are quite obscurantist and the population is secular, modern, so they are radicalising both conservatives and the liberals also. I think the potential for conflict is growing. A.B. - What about Russian meddling in Western democracies? Will we see the Kremlin keeping its interference on the incoming elections in Europe? A.O. - It will depend only on one thing: how much do the Western societies where Putin meddles allow him to meddle. All the stuff doesn't work if we, the West, are strong and confident in ourselves, then this would not happen. He is exploiting the problems that we have domestically, internally, because there is populism growing and the populism is a result of a lot of the liberal elite not being able to really address the inequalities. So if we allow him to meddle, he will meddle; if we don't allow him to meddle, he won't meddle or they will meddle but they will not be succesful. The Soviets did it and it was not particularly succesful. He doesn't have a grand plan 'I will take this country or this other country', you know, he sees trouble in Barcelona, he has never thought about Catalonia before, but suddenly he thinks about Catalonia: 'what can we do there?' Because the objective is to weaken the Western liberal order and he's right to see it as a threat. A.B. - Do you think that after the defeat of the rebels in Syria, Russia is going to take a more active role in the region? A.O. - I don't think so. Well, they need to portray it as a success. Russia is not about state building, that's why it is fundamentally different from Americans in Iraq. When the responsability of building a state in Iraq proved impossible and unsuccesful it was seen as a failure. The Soviets did it after they tried to build up Afghanistan (they were not succesful either). Putin is not having going to try for as long as there is some sort of peace conference where he will present, you know, ' Russia has won' and his being part of it. Probably the only country which has any real appetite for doing anything in Syria it seems to me is Iran. And Putin is not even going to compete with Iran, he will be quite happy for as long as it is not the West, for as long he can show this is a humiliation of the West and the Iranians will do all the symbolic stuff, you know, including the Russians in the room and blow the trumpet.